Protection for your octagonal Waouuh 3.90 m trampoline. 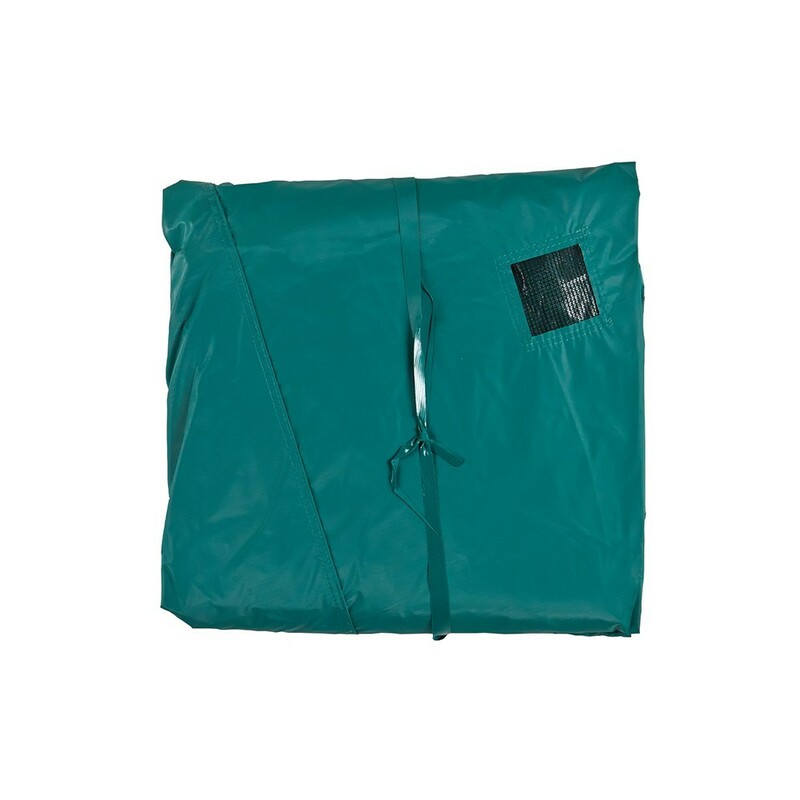 This cover will protect your trampoline when it remains outside all year round. It will long lastingly protect your trampoline from natural deterioration and damage. 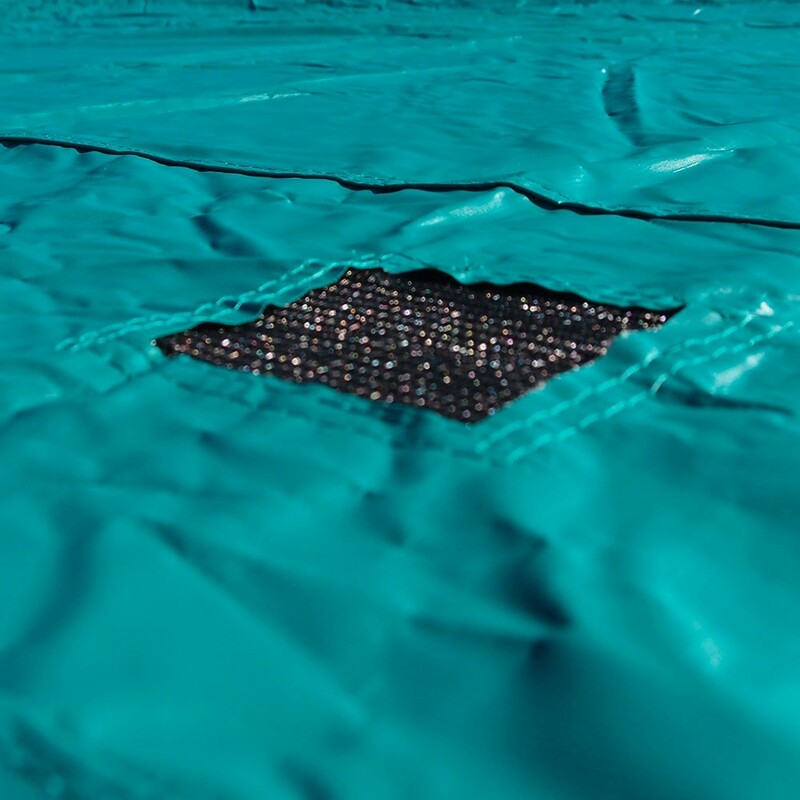 Thanks to this protective cover, your trampoline will stay clean and in good condition. - This cleanliness cover is perfectly adapted to the Waouuh 390 trampoline. 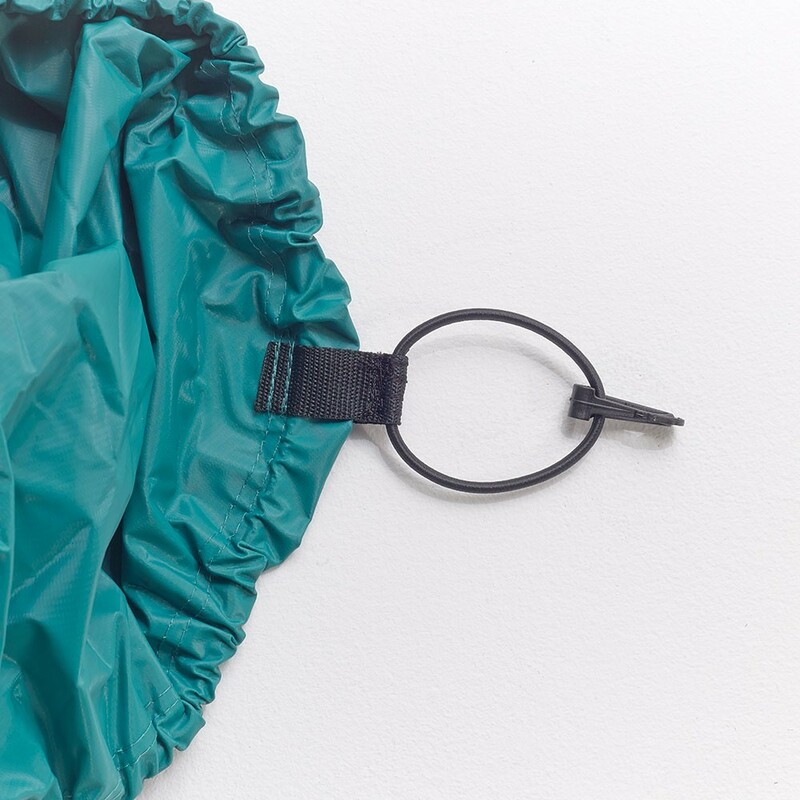 - The fabric from which the cover is made, is coated in a thick green PVC, which has been designed to be temperature and shock resistant. PVC is known to be very resistant and waterproof. - It is held in place beneath the trampoline using a thick, tightly stretched elastic strap which tightens around the trampoline. 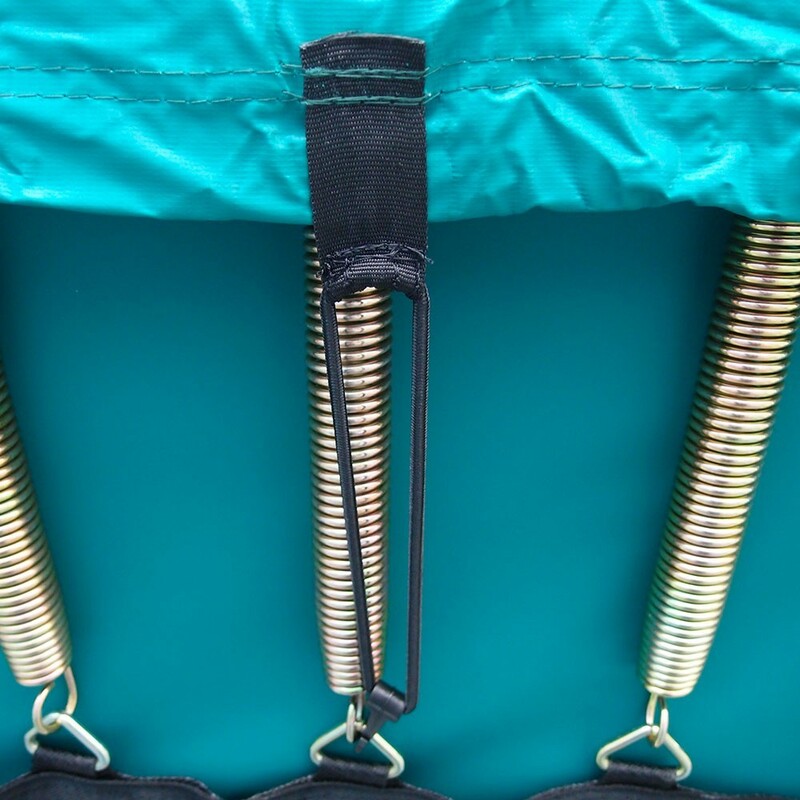 Hooks are also used to make sure the cover cannot move, covering the jumping mat and frame pad perfectly. - 3 evacuation grids have been strategically placed on the cover to drain excess water which could damage the springs. This means that your jumping mat and springs will remain intact and be more dynamic. - The cover is green which means it blends better into your garden surroundings. UV protection has also been applied to the cover. The protection cover is therefore not only useful in winter, but also in summer during the holidays or the hotter months of the year. 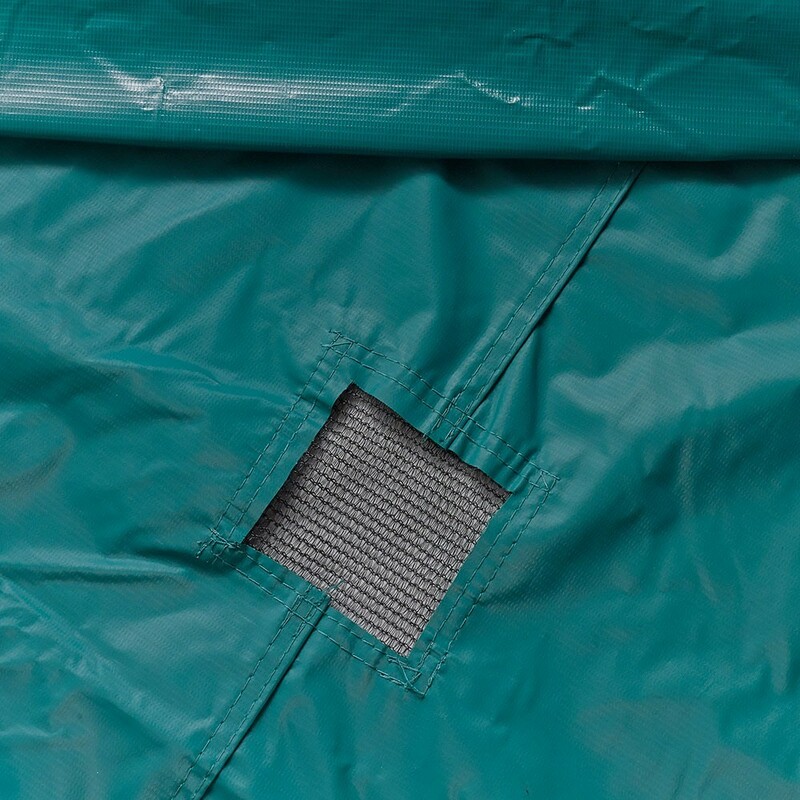 If you use the cleanliness cover as indicated, you will keep your trampoline clean and increase its longevity.